What is Tamper Evident Security? Tamper Evident Security is the application of an uncompromising process of storing and moving sensitive or valuable items. For example, if you needed to send cash or important documents throughout your organisation or by using third party couriers and you needed to be assured that nobody has disturbed the items, Tamper Evident Bags and Seals would allow you to do this with peace of mind. It is an unbroken chain of custody when managing the more sensitive requirements of your business. 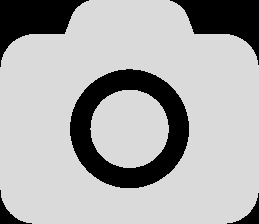 What is the locking chamber on a Versapak bag? 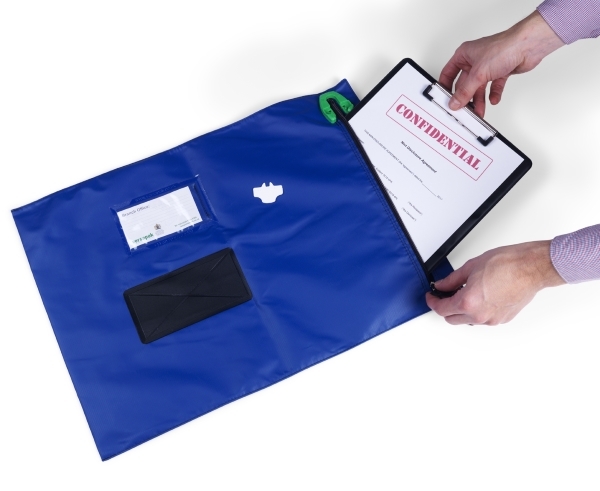 When looking for a Versapak tamper evident bag product, you will need to choose what Locking Chamber you require before you can buy your wallet or bag. This unique feature is used in parallel with a Versapak Security Seal and ensures that the contents cannot be accessed / disturbed without your knowledge. Choose the Versapak patented T2 Security Seal and tamper evident security locking chamber when choosing your Secure Document Wallet or Cash Bag. This is the best way to ensure your items are sealed and cannot be covertly accessed as the zip puller is ultimately locked into position and cannot be removed without breaking. Your bag is now Tamper Evident and your receiving party can be assured that the sensitive items you send have not been touched. If you already own pouches or wallets that use Other Security Seals, simply choose the option that suits you. 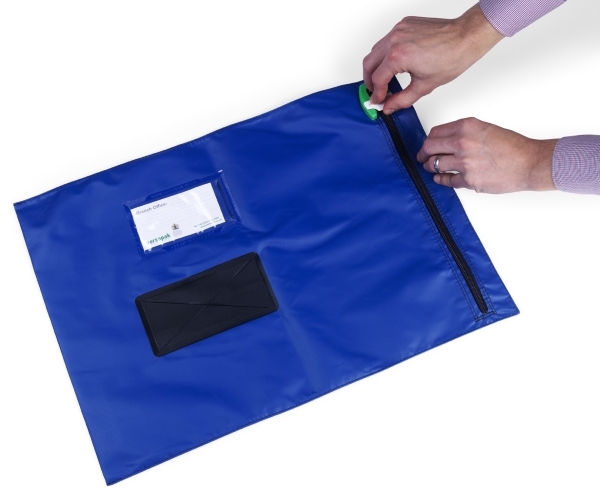 We have made sure that having a simple, yet robust system when closing the zip on the bag and sealing firmly is essential. Thanks to our T2 Locking Seals, we offer the best solution on the market. When someone tries to lift the zipper, the seal clearly breaks at the legs, which means that you can see immediately that the bag has been opened. You can even see the legs inside the bag as we cleverly designed the locking chamber to capture these, an additional way to prove the bag was compromised. But we have designed so that when it is broken, they fall away from the locking mechanism and will not jam which prolongs the life of the bag. Versapak T2 Seal – Versapak’s premium seal has a unique patented design with an increased printable surface space to allow for easy scanning and readability of barcodes and numbers. It also has two prongs for added security. The T2 offers you the ultimate level of tamper evidence and traceability. It is available plain, numbered, personalised and barcoded in a choice of colours. 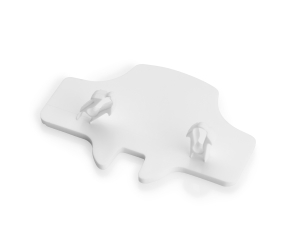 Versapak T Seal – The two-pronged design makes them more secure than other plastic seals on the market. 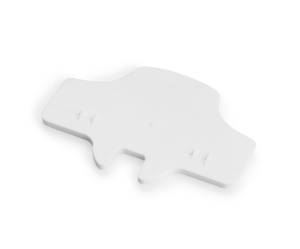 They are available plain, numbered, printed or barcoded, and in a variety of colours. Versapak Genuine Button Seal – Available in a range of colours, the button seal can be overprinted with unique security numbers, company name or logo. There is also a button seal with a 128 barcode available. Versapak Arrow Seal – We designed the arrow seal for use with secure bags and pouches that have been fitted with the arrow style sealing system. Plain, numbered or with your logo, the arrow seal is also available in a range of colours.